Discover new ways of being. Learn to make better choices, lessen the stresses of life, reach your goals and feel transformed. Find better ways of relating, challenge old ways of being, and create new possibilities in your relationship. With over 20 years of corporate experience from Wall Street to the NBA, Tom merges past work lessons with his counseling expertise. Through contextual discussions, Tom is known for his keen ability to pinpoint that which is holding a person back and then strategically construct an empowering plan for change and dynamic growth. 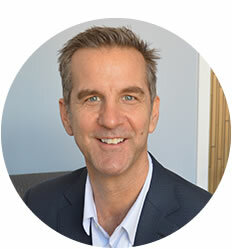 Currently the Mental Health Advisor for the Milwaukee Bucks of the NBA and with a private counseling practice in Manhattan, Tom has the personable and professional expertise to guide process, explore intelligent solutions, and build substantive change so people feel revived and empowered. Kearns Group is a network of mental health professionals whose passion and objective is to change peoples lives. Founded by Tom Kearns, the group helps people connect with the care they need and assists individuals in constructing their personal development towards extraordinary change.